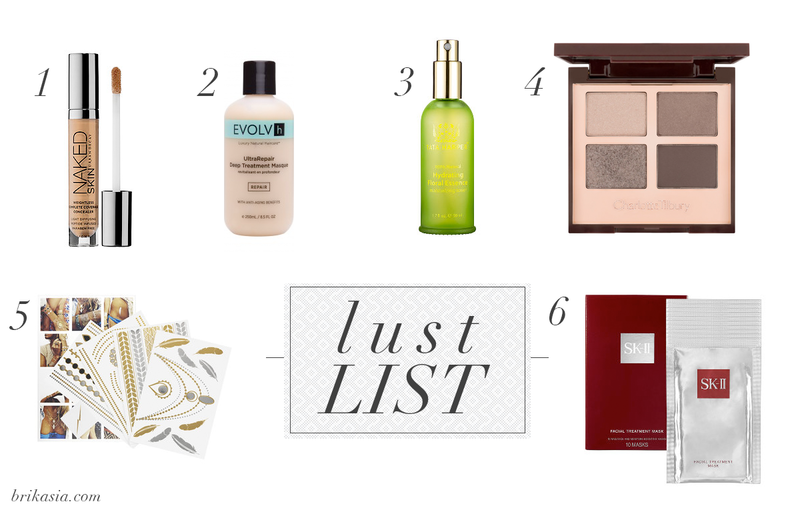 I haven't created a lust list since September, so I am way overdue on this. If you're new around here, LUST LIST is where I share with you all the products I've been coveting for a hot minute (which is a constant thing, sadly). It's a safe place where we can all enable each other to buy products we don't exactly need, and is a great place for the "TREAT YO'SELF" mentality. Without further ado, here is what I've been coveting lately. Have you tried any of the products above? Tell me your experiences with them. ENABLE ME! What's on your lust list this week?